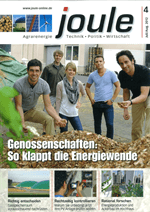 At the moment, we supply more than 1500 biogas plants in Germany. Furthermore, our products have already been used successfully in over 30 countries worldwide. We would be happy to organise worldwide transportation for you. Through high-capacity and experienced logistics partners for the domestic and foreign market, we can guarantee speedy processing of activated carbon transportation. You will receive the goods quickly and reliably. Our trained staff would be happy to take on the export customs processing for transportation outside the EU, inc. all the required documents.